Mercedes-Benz has one of the most distinctive lineups of luxury SUVs available. Whether cruising along the roads of Huntington or traveling off-road with heavy loads, these models accommodate without sacrificing on interior opulence and convenience. Use this quick overview to determine which Mercedes-Benz SUV is right for you, then explore the lineup in person at Mercedes-Benz of Charleston. This compact luxury SUV has a starting MSRP starting at $33,400, putting it within reach of more Beckley vehicle-buyers. It comes standard with a turbocharged 2.0L four-cylinder that gets 208 hp and 258 lb-ft of torque while still getting an impressive 24 mpg city and 33 mpg highway. And despite the smaller footprint, the GLA model can still carry up to 43.6 cubic feet of cargo. With a midsize SUV like the GLC, you’ll have true all-purpose capabilities. The standard engine is a stronger turbocharged 2.0L four-cylinder that puts out 241 hp and 273 lb-ft of torque. And 4MATIC®® all-wheel drive is available to upgrade traction and handling when you’re whipping through Huntington. This model is available with impressive technologies like a seven-inch display screen and automatic emergency braking. Nothing is missing from this full-size luxury SUV. It feels strong and capable thanks to the 3.5L V6 that comes standard and produces 302 hp and 273 lb-ft of torque, plus it tows up to 6,600 pounds. There are also AMG® models available that produce north of 500 hp. The cabin has spacious seating for five overall and over 80.0 cubic feet of cargo space. There are also features available like a rear-seat entertainment system and a huge suite of infotainment features to keep every passenger entertained. Families flock to the GLS thanks to the third row of seating for up to seven passengers. This is also the strongest luxury SUV in the lineup and runs standard on a biturbo 3.0L V6 that generates 362 hp and 369 lb-ft of torque and handles tow loads up to 7,500 pounds. The long list of available features includes truly luxurious amenities like tri-zone climate controls and rich leather upholstery. 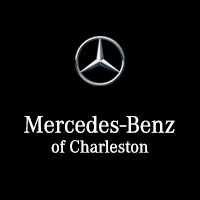 When you’re ready for a tour, test drive, and VIP treatment, visit Mercedes-Benz of Charleston. Learn our elite Mercedes-Benz sedan lineup and financing options in advance, and count on our team to help you identify the ideal model. Contact us with your questions before paying us a visit. 0 comment(s) so far on Which Mercedes-Benz SUV is Right for Me?